Add a pair of matching earrings to your bracelet for only $10 per pair. 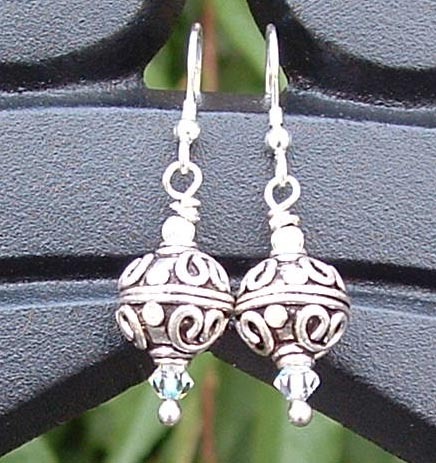 Earrings created with sterling silver, bali beads, and Swarovski crystal or czech glass beads. French wire or post style is available. Choose a simple style, or more ornate. Each pair is custom designed per your specifications.